Day 3: Copenhagen - Odense - Frederikshavn. Day 4: Frederikshavn - Gothenburg, Sweden - Oslom Norway. Day 5: Oslo - Telemark area. Day 6: Telemark area - Vemork - Bergen. Day 8: Bergen - Sognefjord cruise - Fagernes area. Day 9: Fagernes area - Lillehammer - Karlstad, Sweden. Day 10: Karlstad - Mariefred - Stockholm. Day 12: Stockholm - UK. 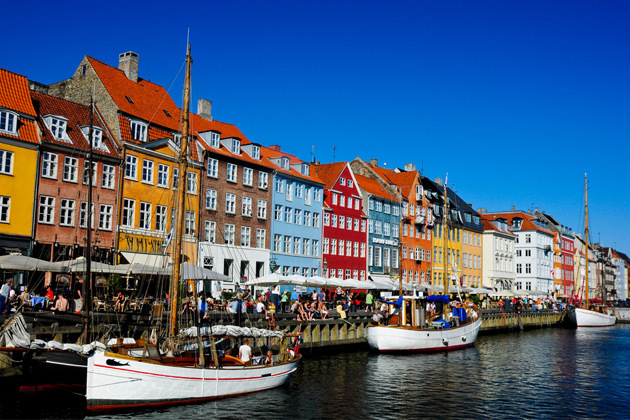 Departure dates 2019 : Focus on Scandinavia (12 days) : 7% discount on all tours. Fly to Copenhagen with time to explore. From Copenhagen journey northwards, enjoying the drive across the Great Belt Bridge, which will connect you to the fairytale island of Funen. Gustav Vigeland’s sculptures are among the high-lights of the included Oslo sightseeing tour. Spend time exploring in Bergen, built on seven hills with the fjords on one side and 1,000-foot Mount Fløyen on the other. More spectacular scenery as you drive towards the Sognefjord, where you embark for a breathtaking on one of Norway’s mightiest fjords. Then towards Sweden through Värmland’s un- spoiled wilderness of forest and lakes to and lakes to Karlstad, located by Sweden’s largest lake, Lake Vänern. Stockholm is perhaps the most beautiful of the Scandinavian capitals, because the crystalline waters that flow through its intersecting canals give a luminous appearance to palaces, castles, and parks. Your city sightseeing takes in all the highlights including city hall. To book this Focus on Scandinavia 12 day tour and receive your 7% discount call Cosmos direct on 0330 0588 237 and quote the Travel 55 code TR55C. Odense Stop in Hans Christian Andersen’s hometown. Lillehammer, Karlstad and Mariefred Visit. In addition to our standard inclusions you will also enjoy breakfasts (B) daily, 5 dinners (D) and headsets throughout the tour. This wonderful Prague, Vienna & Budapest tour also visits Nuremberg, Salzburg and Munich. With visits to Ljubljana, Postojna caves, Pula, Plitvice national park and Split. This tour encompasses many different countries each with their own diverse cultures, ethnicities, languages and histories. A Globus tour.